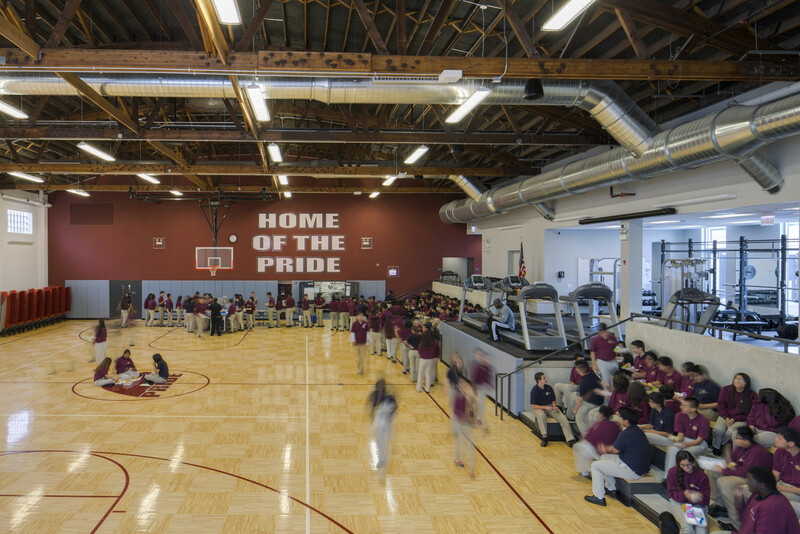 Set in an industrial urban corridor, The ITW David Speer Academy redeveloped an existing lumberyard building and site into a STEM high school with 31 classrooms and 5 laboratory teaching spaces. 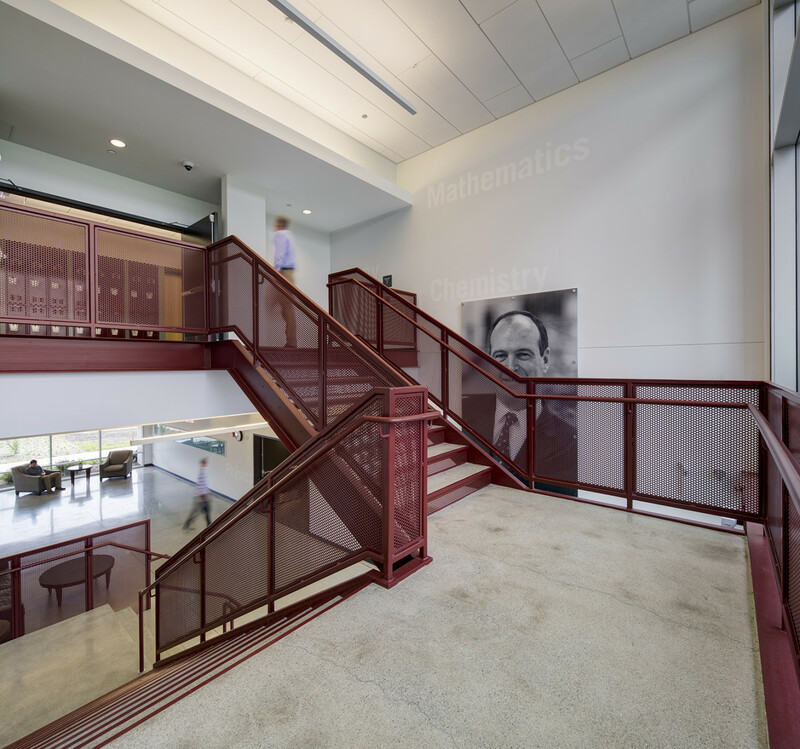 The design includes a new entrance to the building at an intersection between an existing bow string truss building and the new classroom wing. 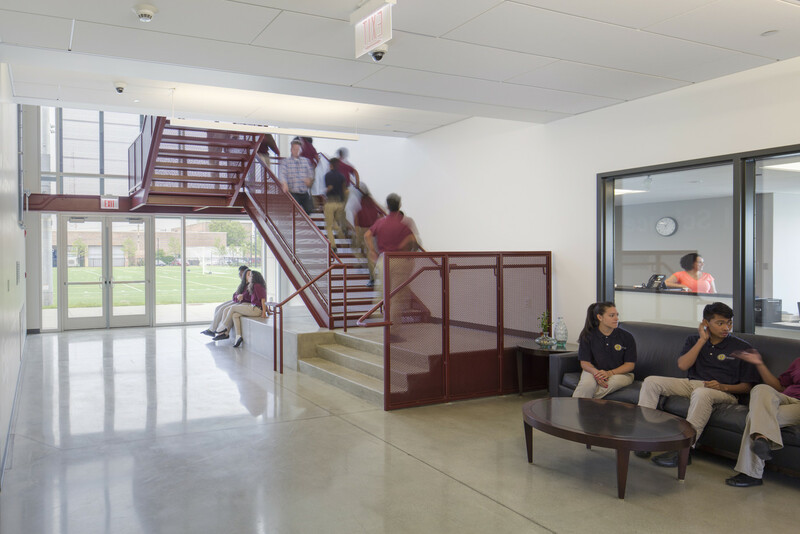 This linkage provides a connection between the academic, athletic, and outdoor spaces of the school; this intersection is the emotional center for the students of the school. 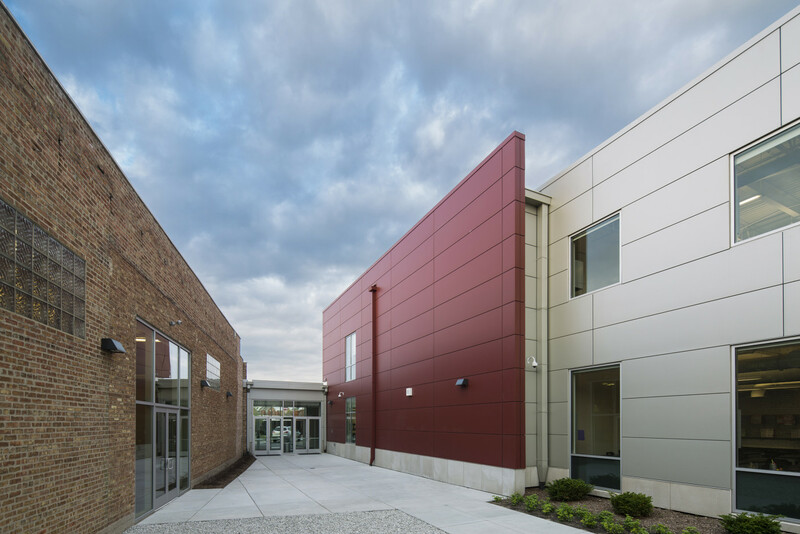 The dynamic wedge of space between the two buildings provides a student-centered garden space that can be used for free time before and after school or for instructional use during the day. Students coming from Grand Avenue traverse through this garden space to enter the school. ITW David Speer is the fifteenth Noble school campus, but the first with a regulation size football field. Several siting tactics were considered before ultimately choosing the existing layout, and the field was an important part of the strategy. 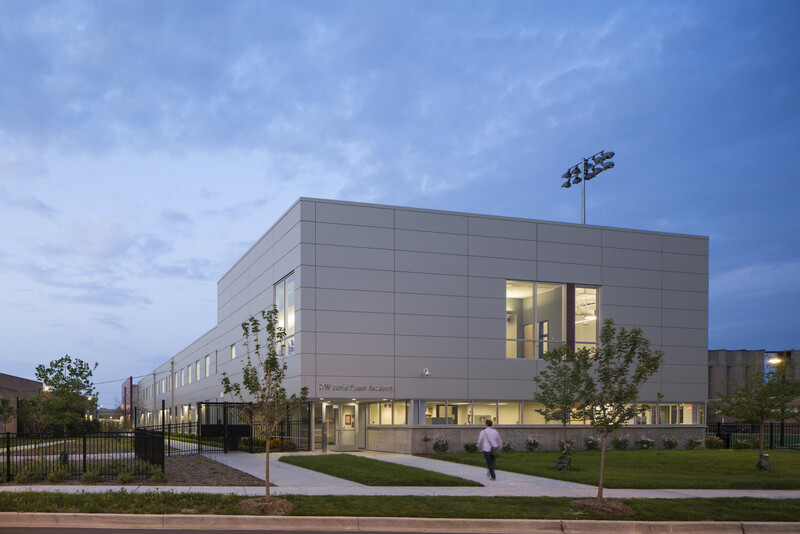 By placing the school building perpendicular to Grand Avenue, the west side of the site provides the required amount of space for the competition field. More importantly, the field functions as an engineered barrier separating students from the brownfield site. The gravel below the turf surface also functions as storm water detention. 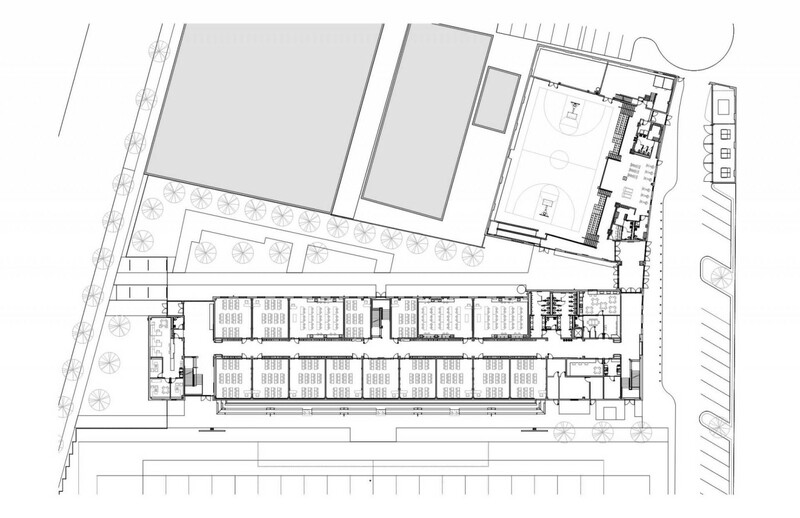 The site connects two previously dead-end streets to create a drop off area for students, and parking is placed at the south border to provide separation between the school and the rail line. 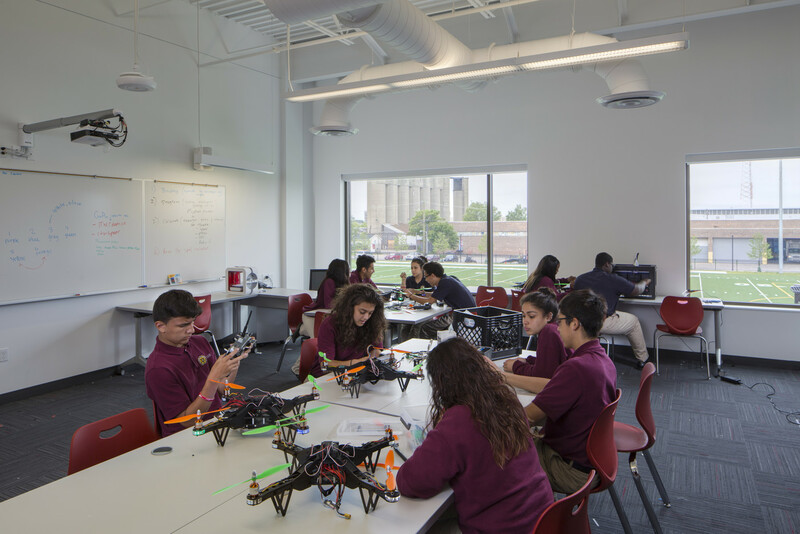 The site transformation from a place of making to a place of learning is part of a larger trend of changes and reorganization taking place in the city at large. 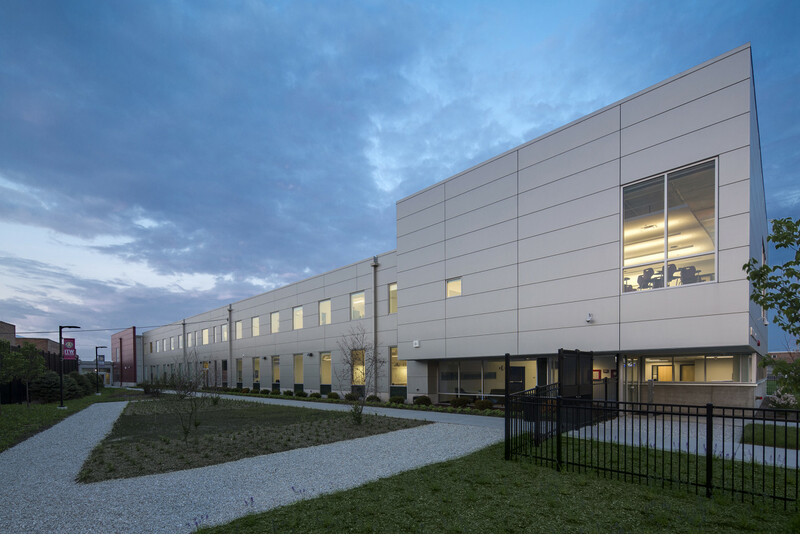 Educational facilities are taking over historically industrial sites, sited along major transportation arteries in the city. 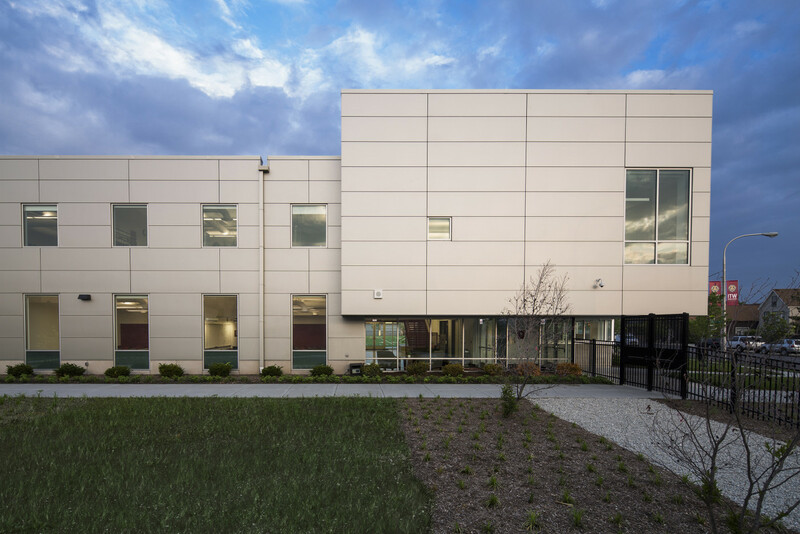 These facilities play an important role in the revitalization of their neighborhoods, providing a high quality educational foundation for the future scientific and industrial development of the city.